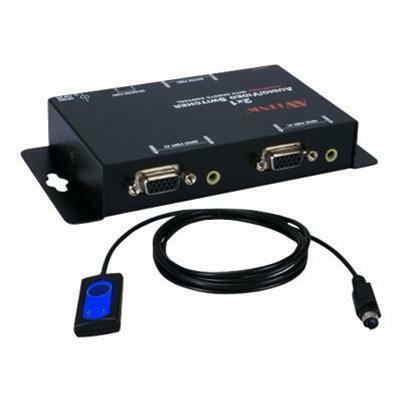 ASOUND - - 2-Port VGA Splitter - Black This splitter transfers VGA signals from a single source to up to 2 monitors simultaneously and supports up to 1600 x 1200 resolution for crystal-clear images. 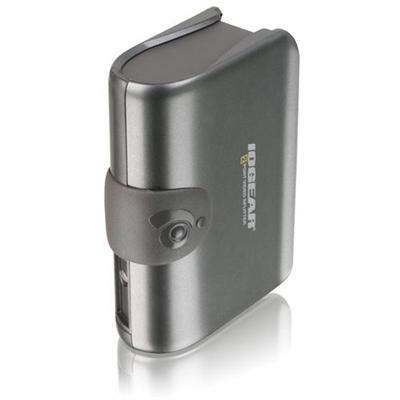 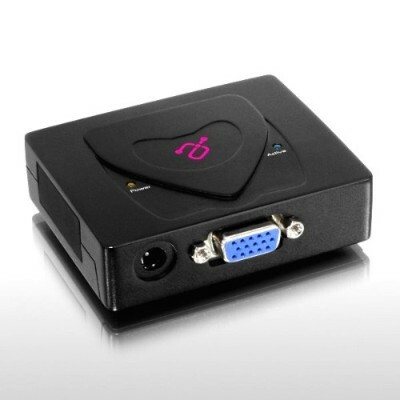 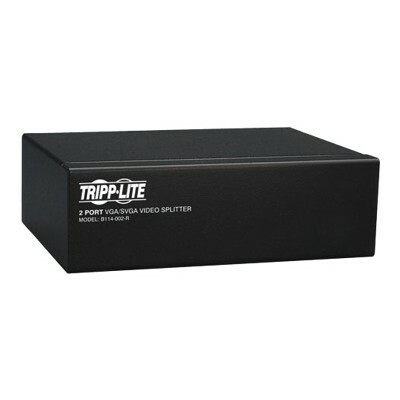 Tripp Lite - B114-002-R Tripp Lite 2-Port VGA SVGA Video Splitter Signal Booster High Resolution Video - 2048 x 1536 - QXGA - 1 x 22 x VGA Out B114-002-R TRPB114002R pg.721. 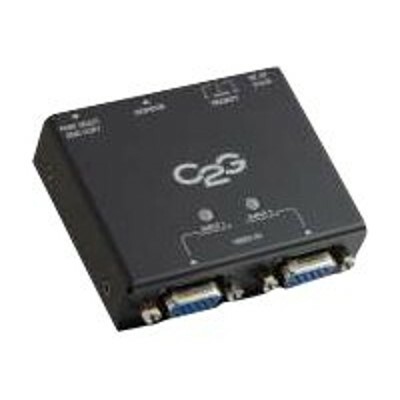 IOGEAR - GVS62 2-Port VGA Video Splitter The GVS62 is a 2-port VGA video splitter and a signal booster with IOGEAR's patented VSE (Video Signal Enhancement) Technology. 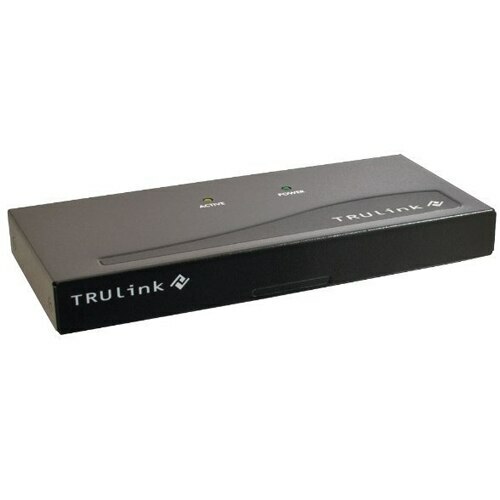 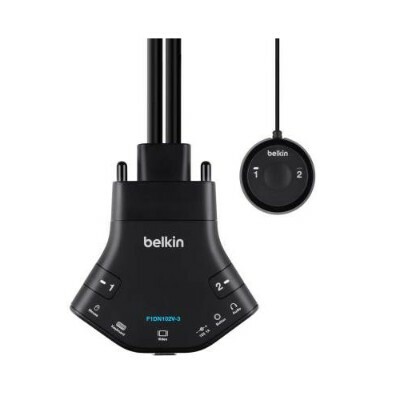 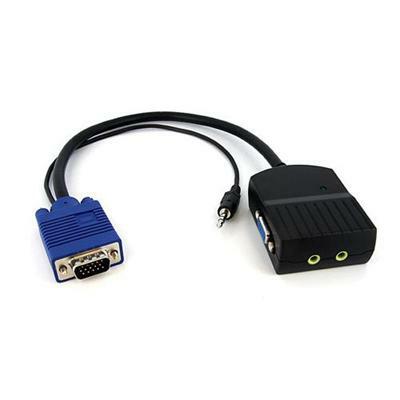 ASOUND - - 2-Port VGA Video Splitter - Black This 2-port video splitter allows a computer to display VGA video on 2 monitors simultaneously and supports displays with up to 300MHz of bandwidth and up to 2048 x 1536 resolution.
. - 52043 Trulink 2-Port VGA and USB Micro KVM with Au Take control of two PCs and free your desktop from clutter with the 2-Port VGA and USB Micro KVM with Audio from Cables To Go. 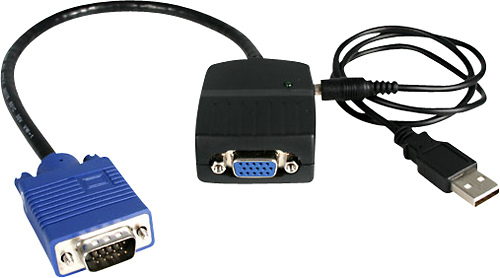 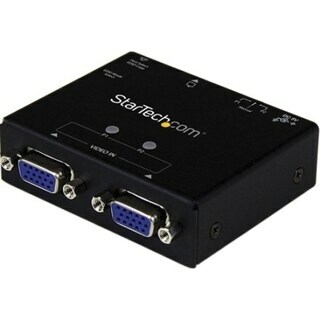 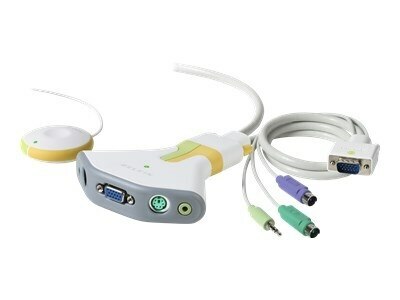 Startech - ST122LEA 2 Port VGA Video Splitter with Audio - US A compact USB powered solution for extending a high-resolution VGA signal from a computer between 2 monitors/displays or projectors. 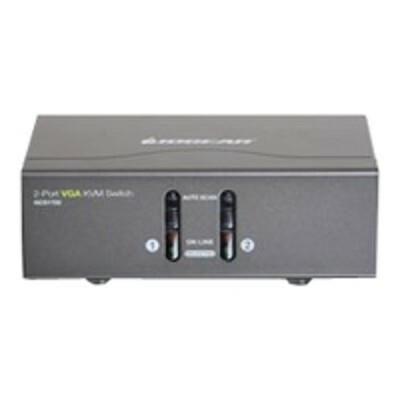 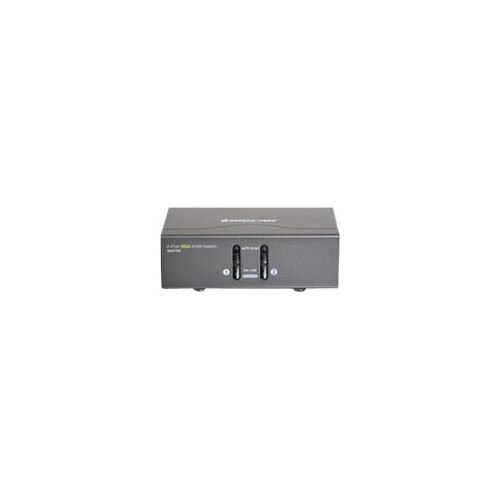 IOGEAR - GVS72 2-Port VGA Video Splitter The GVS72 is a 2-port VGA video splitter and a signal booster with IOGEAR's patented VSE (Video Signal Enhancement) Technology. 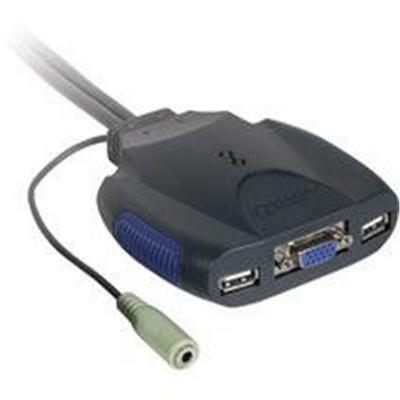 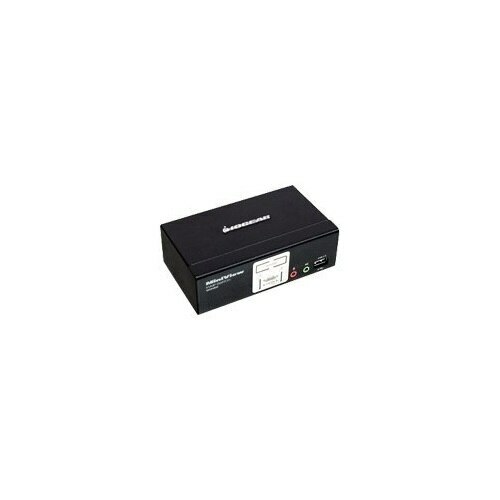 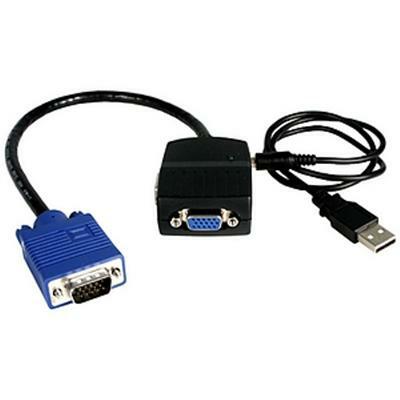 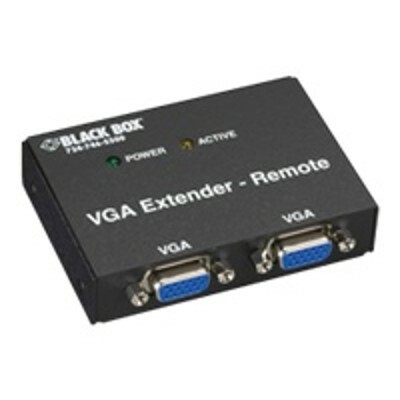 Cables To Go - C2G 29503 2-Port VGA (UXGA) Monitor Splitter/Extender (Female Input) TAA Compliant Black Type: VGA Splitters Ports: 2 Color: Black Input Connector: One HD15 Female Output Connector: Two HD15 Female Weight: 2.07 lbs. 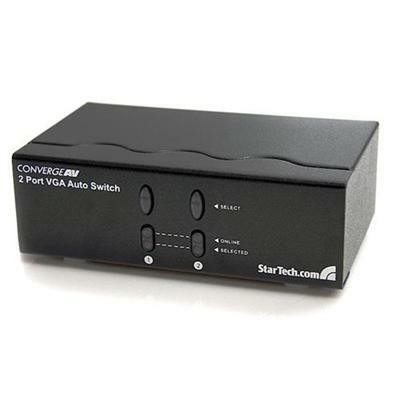 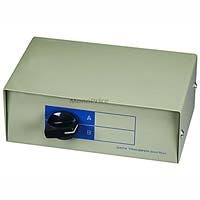 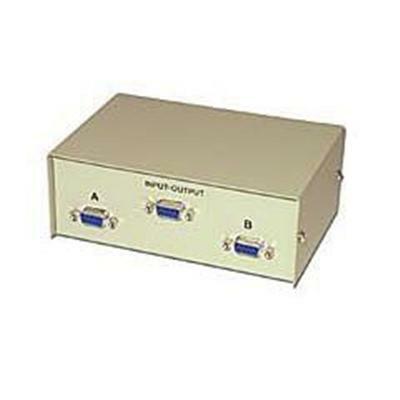 Startech - 2-Port VGA Auto Switch Box with Priority Switching . 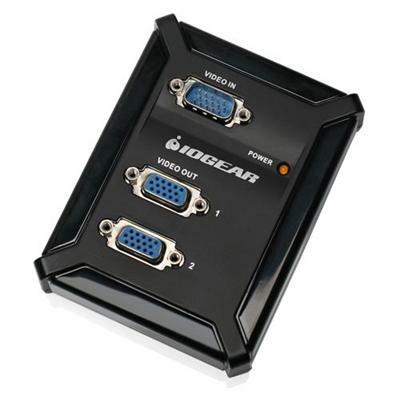 Startech - ST122VGAU 2-Port VGA Auto Switch Automatically selects the priority of incoming video signals for display. 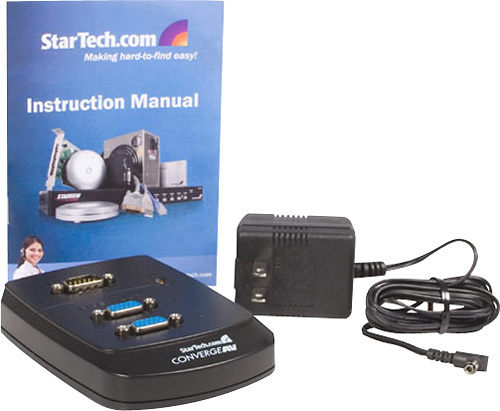 Easy installation and set up in minutes. 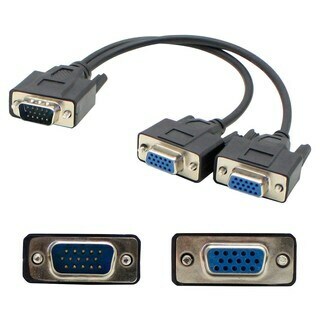 Supports resolutions up to 1920x1440. 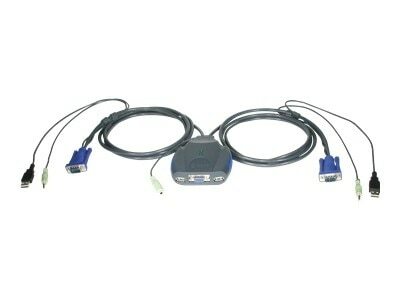 IOGEAR - GCS1722 2-Port VGA KVM Switch PS2 and USB s 2-Port VGA KVMP Switch allows full control and switching between your two computers from a USB or PS/2 keyboard mouse and VGA monitor. 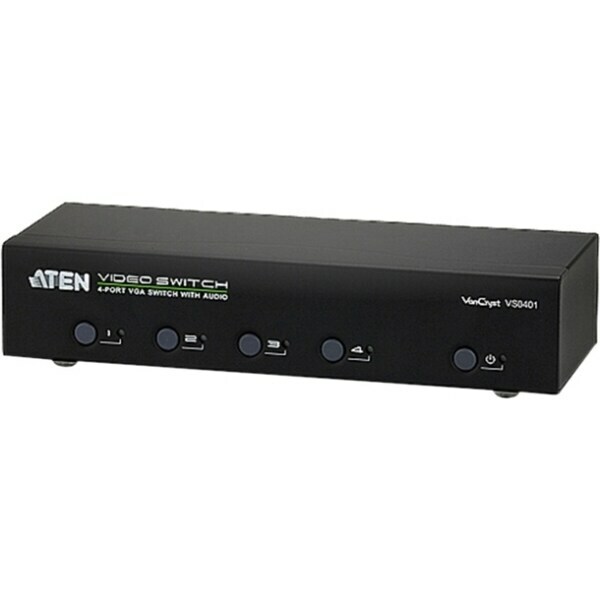 Aten - Aten 2-Port VGA Switch with Audio . 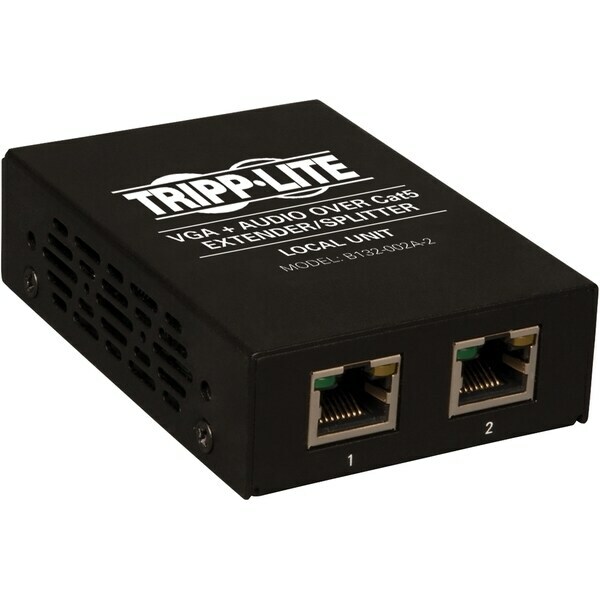 Tripp Lite - 2-Port VGA with Audio over Cat5 / Cat6 Extender Sp .